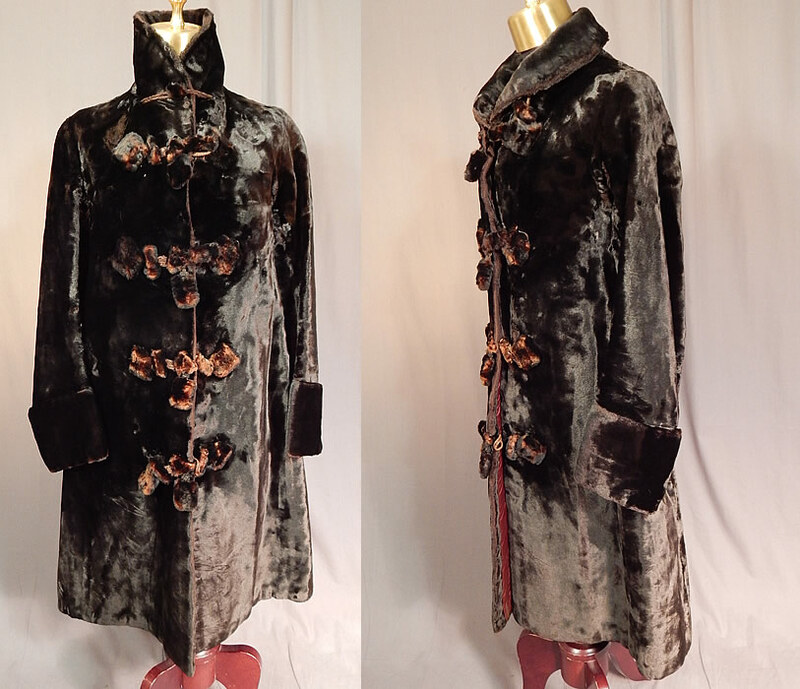 This antique Victorian era womens plush velvet beaver fur winter coat jacket dates from 1890. 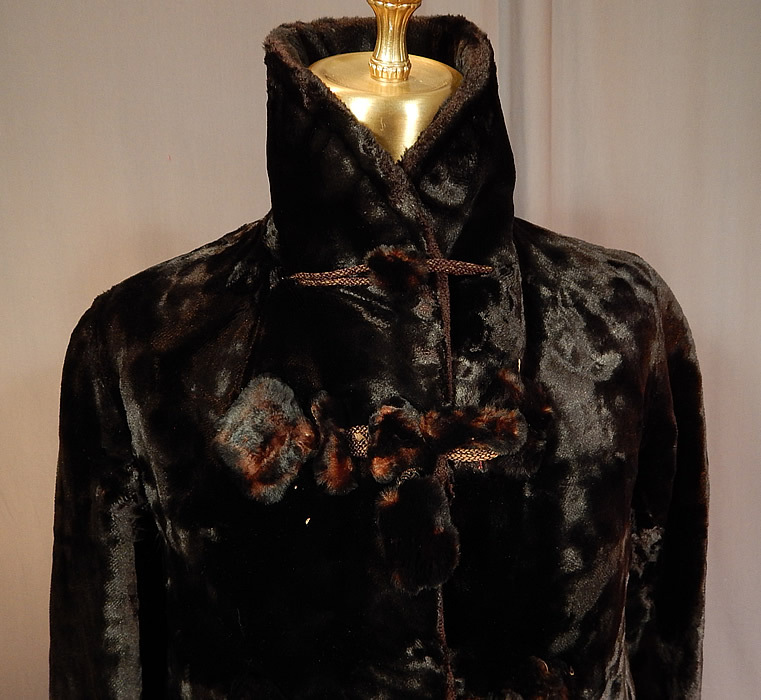 It is made of a brownish black plush velvet fabric, with soft sheared beaver fur trim button toggle loop closures down the front. 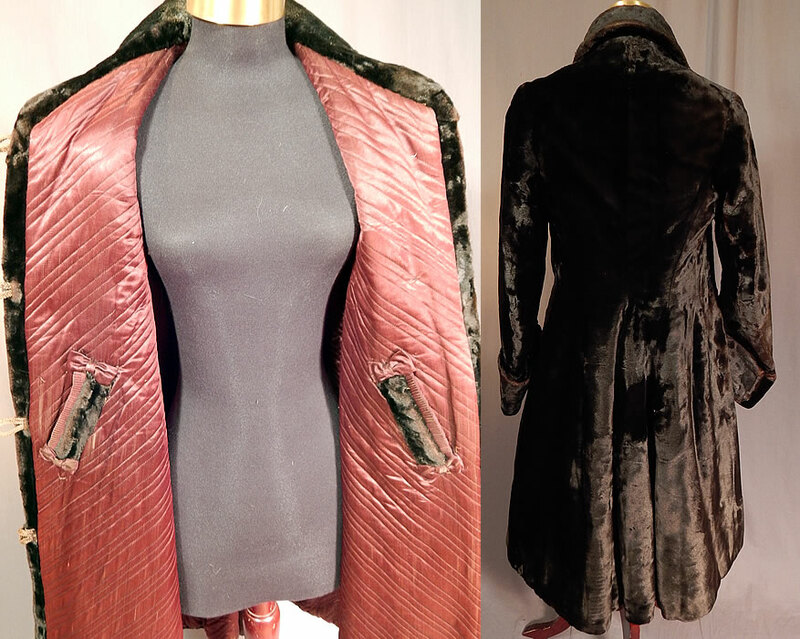 This wonderful womens winter coat jacket is a long mid length, with long full sleeves, wide rolled cuffs, an upturned collar which can be worn folded down, fur button toggle closures down the front and is fully lined in a reddish brown quilted silk fabric with an inside bow trimmed slit pocket near the front opening. 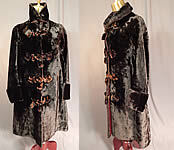 The coat measures 37 inches long, with a 32 inch bust, 32 inch waist, bust, a 12 inch back and 22 inch long sleeves. 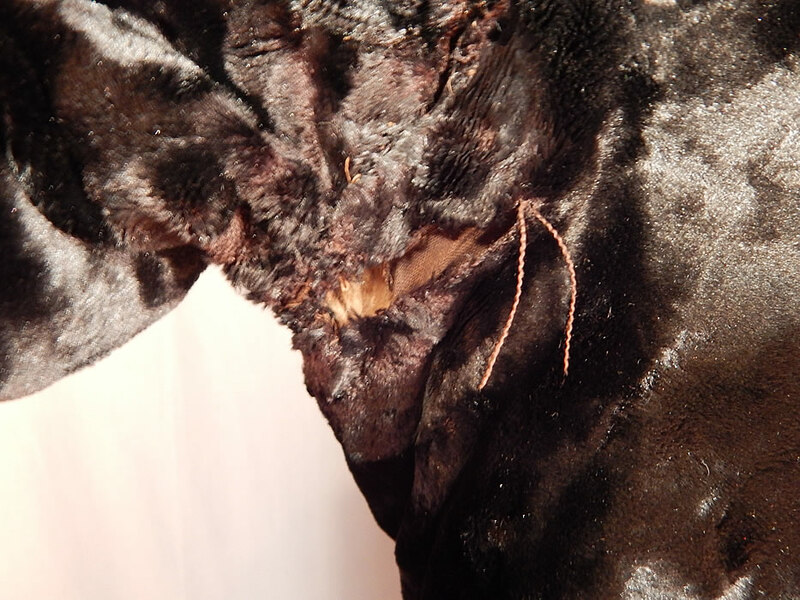 It is in good as-is condition, with only some slight wear to the velvet fur nap in areas and a frayed split under one arm (see close-up). 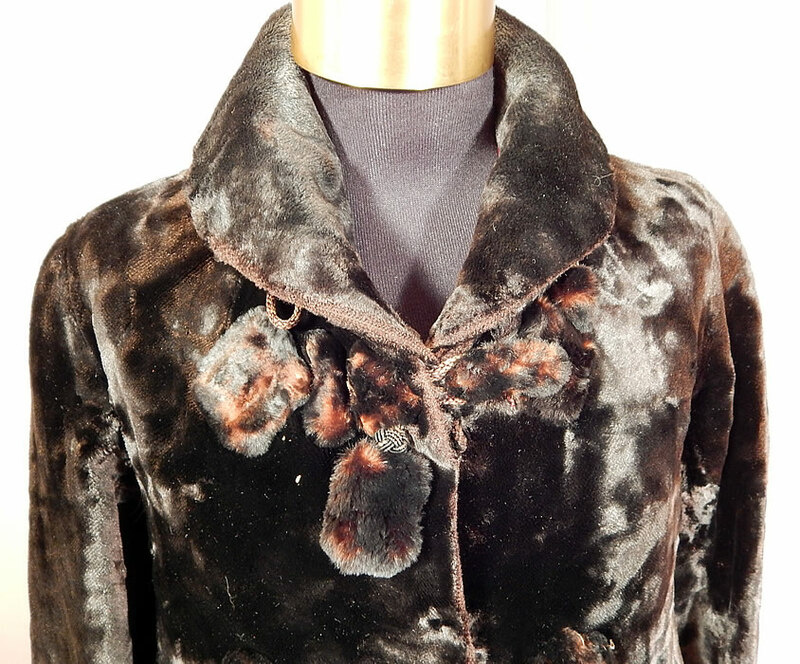 This is truly a wonderful piece of antique Victoriana winter wearable art! Buyer pays $18.00 shipping and insurance, USA orders.